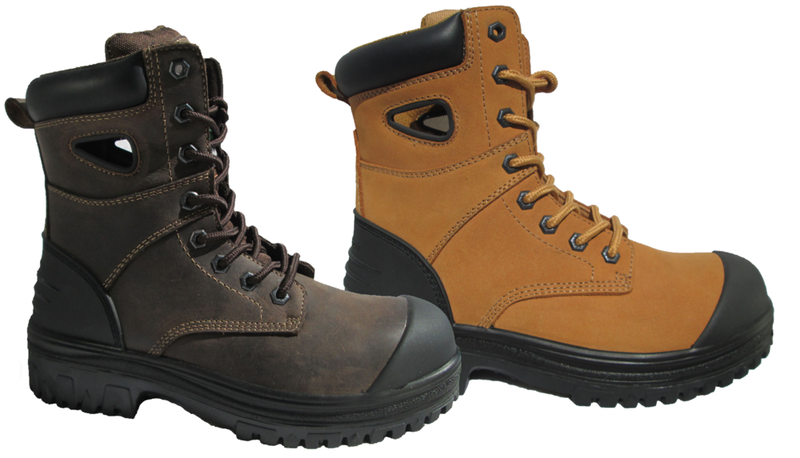 Tiger Safety produces high-comfort safety shoes for a variety of work settings. We have a commitment to using the latest technology in the design and creation of every safety shoe. With unique outsole patterns, our construction boots are extremely durable - made with top of the line materials - yet extremely affordable. With Carbon Fibre leather uppers, these boots provide physical abrasion resistance, chemical resistance, and environmental resistance. Both oil and acid resistant, the use of the latest Carbon-fibre leather technologies ensures that the boots are both waterproof and breathable. The NBR copolymer and nitrile rubber outsoles are heat resistant up to 300 degrees Celsius. Lightweight materials and comfortable insoles define these work shoes. The quality leather and breathable membrane makes these boots completely waterproof.